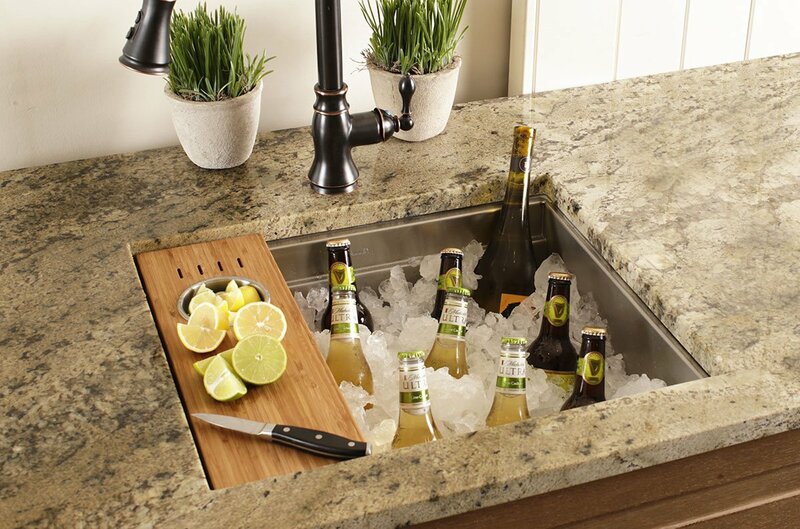 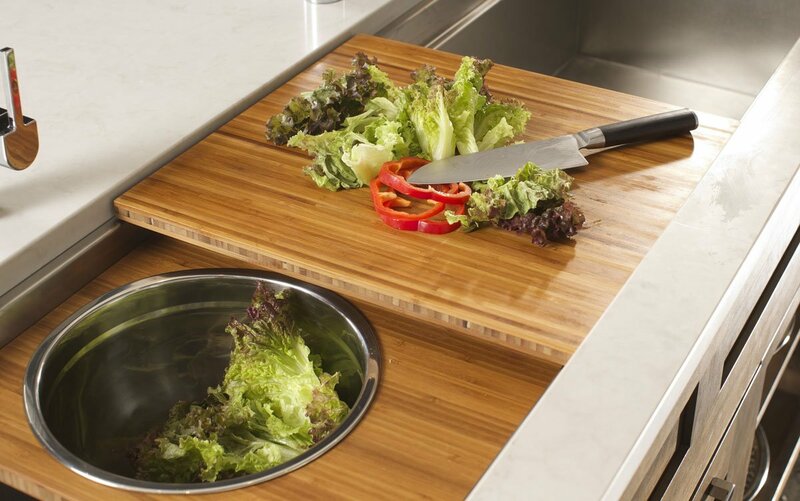 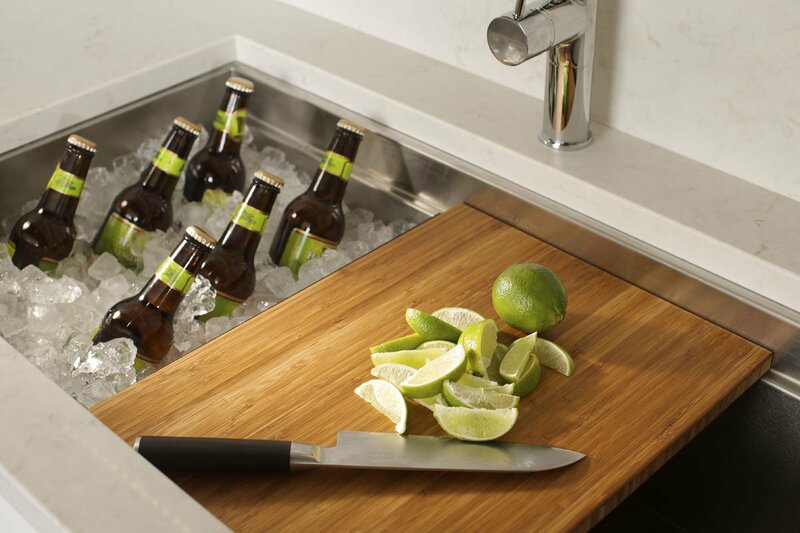 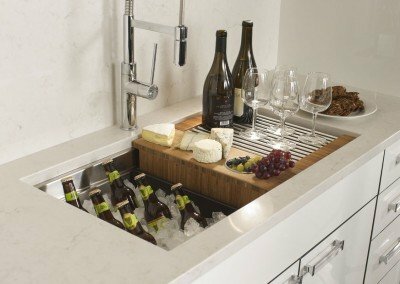 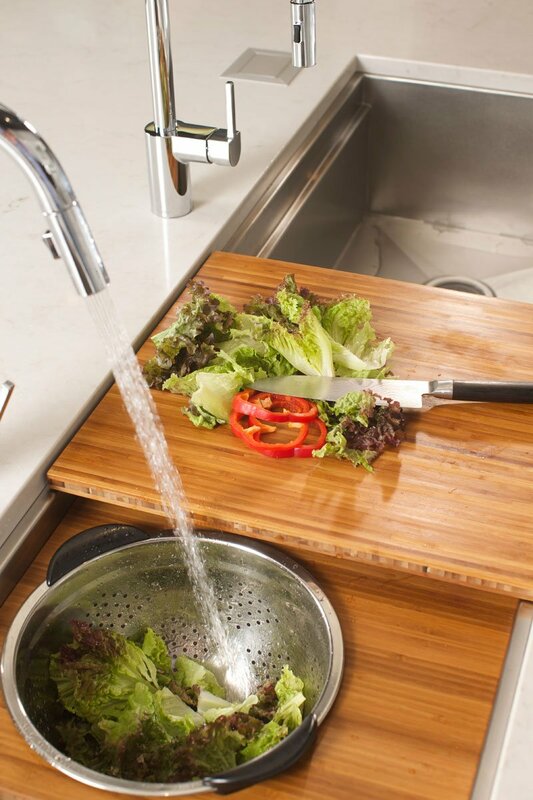 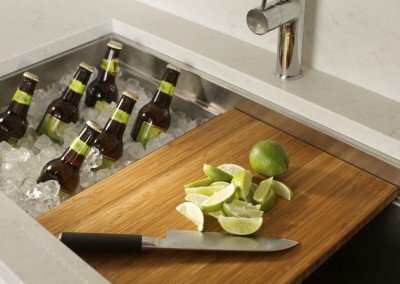 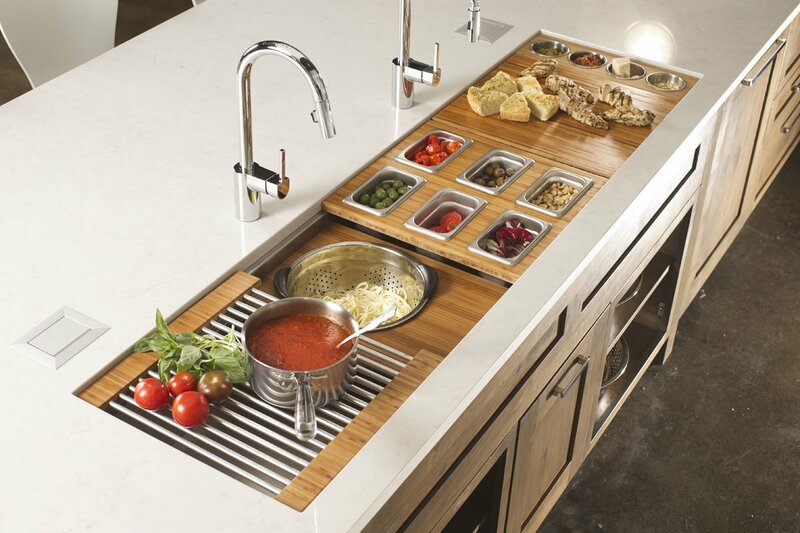 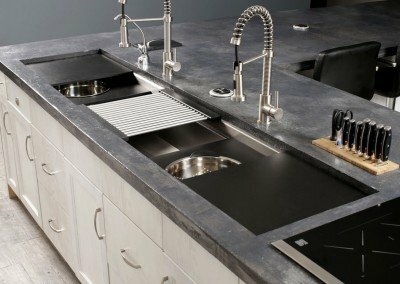 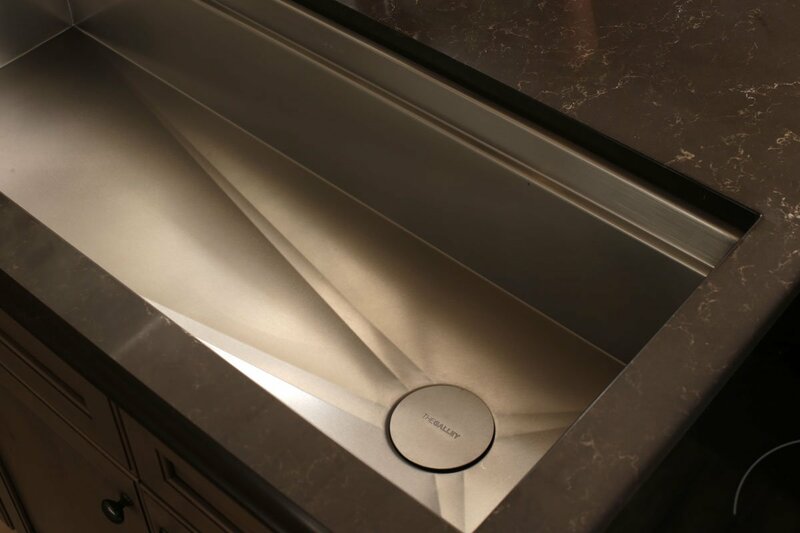 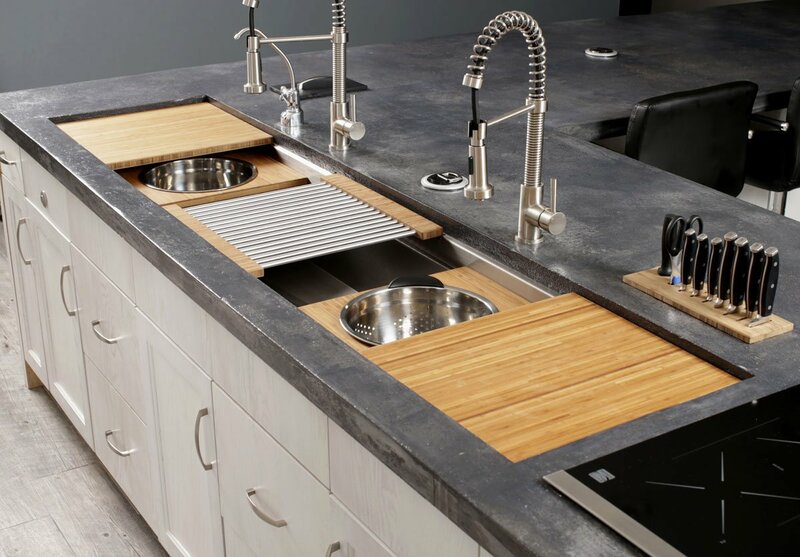 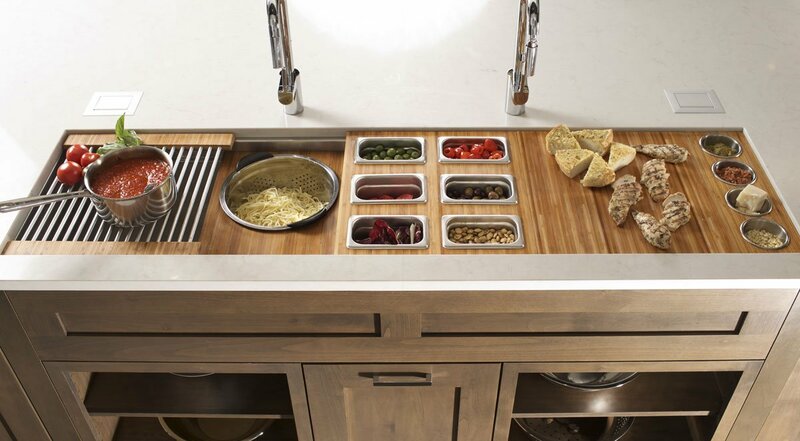 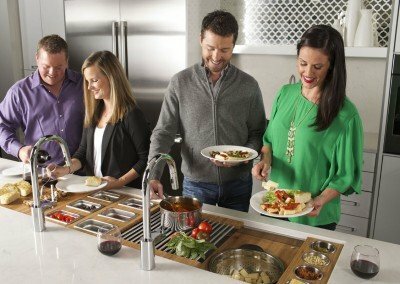 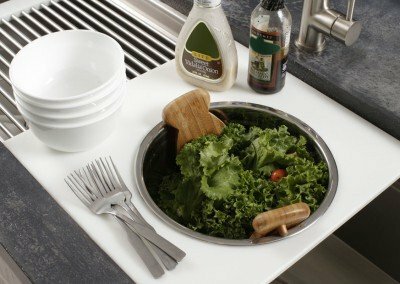 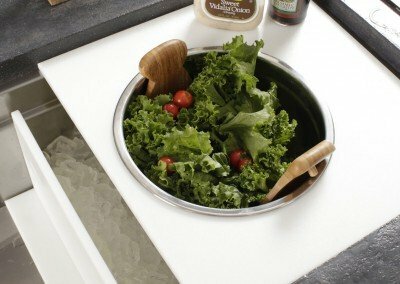 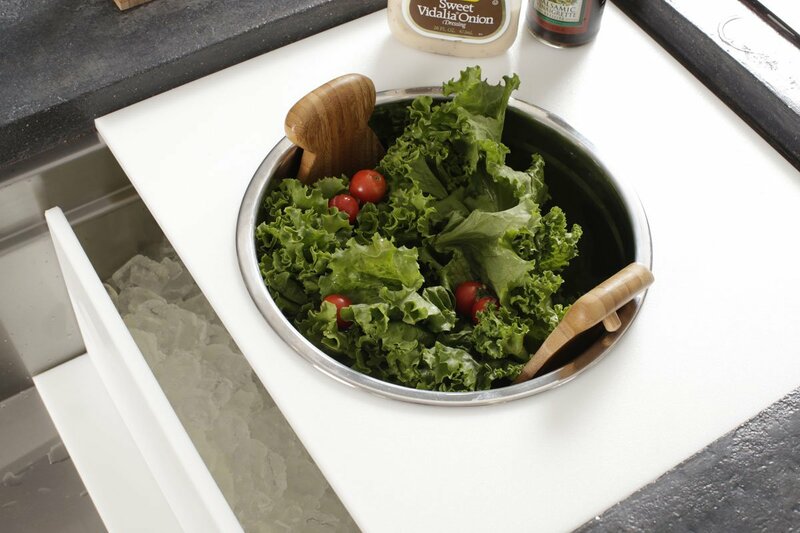 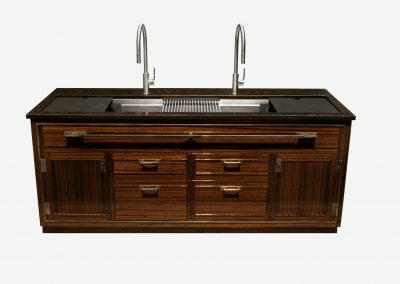 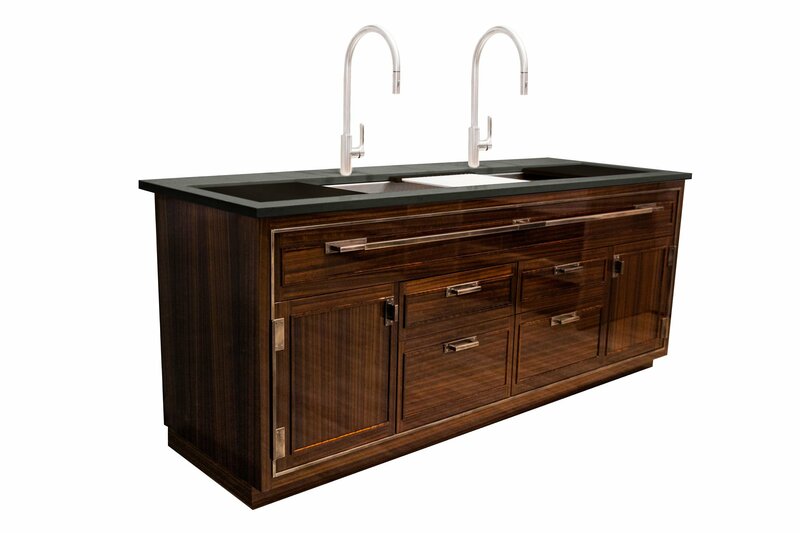 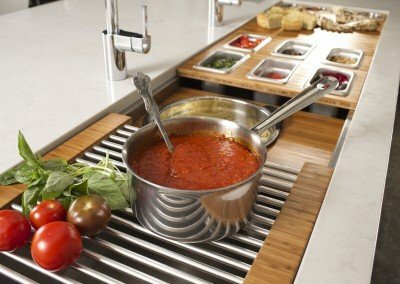 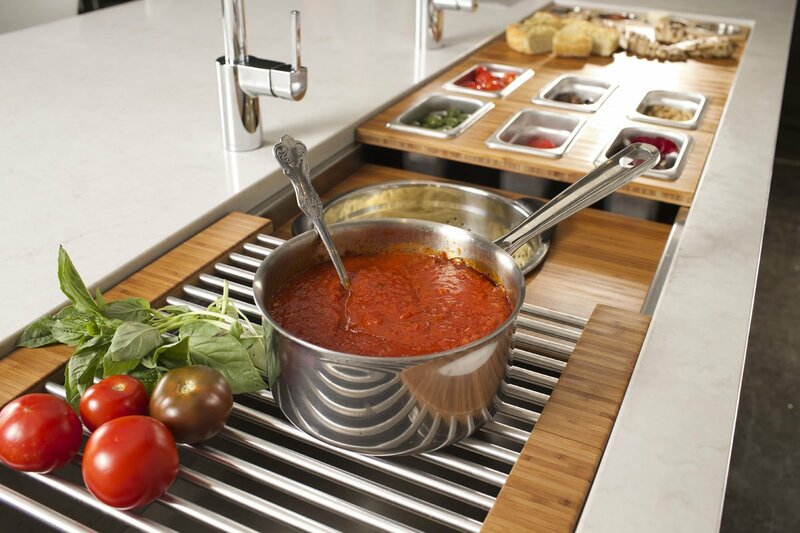 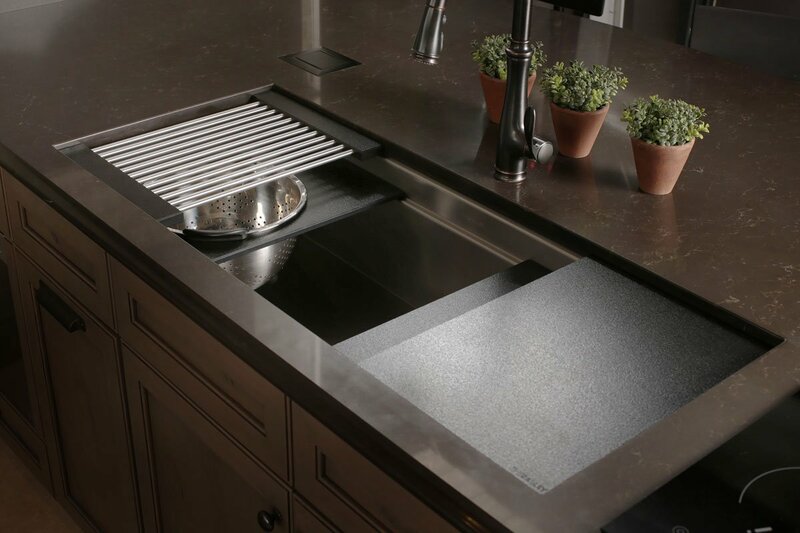 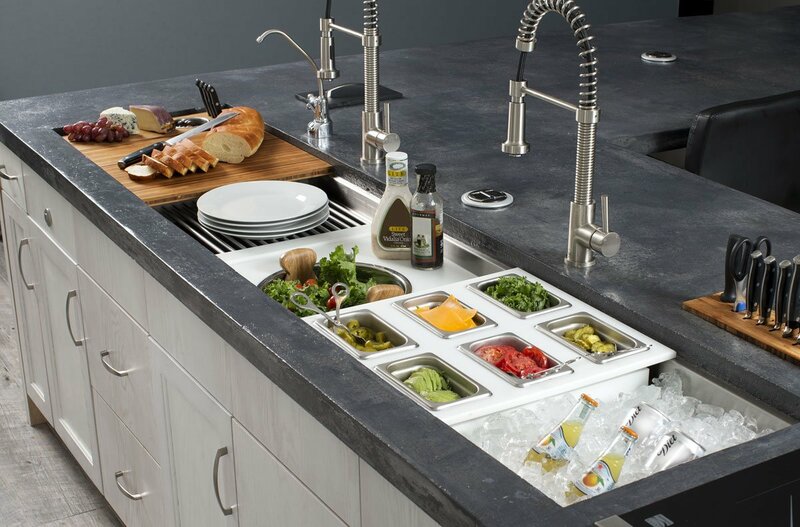 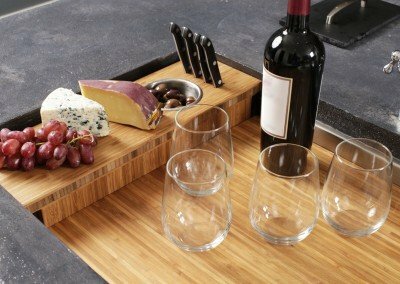 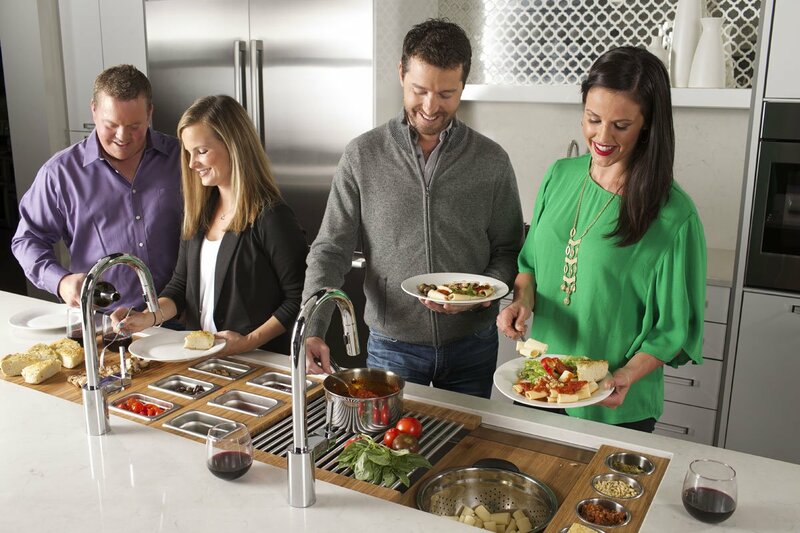 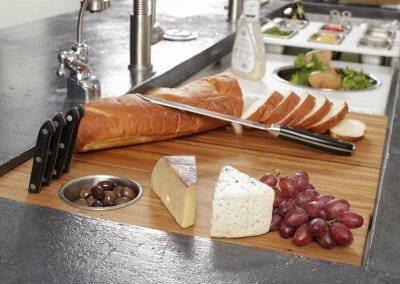 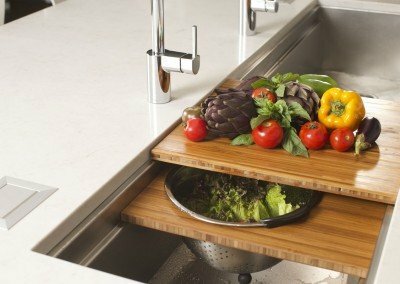 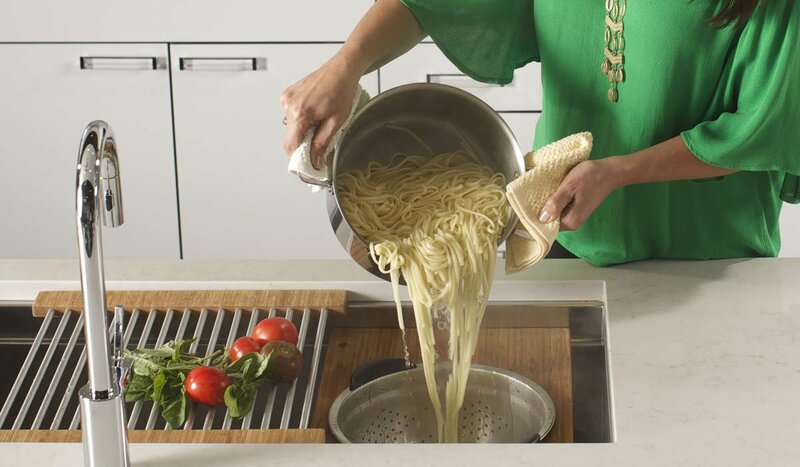 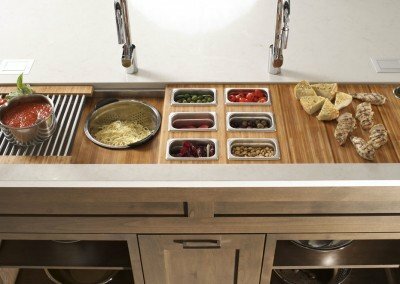 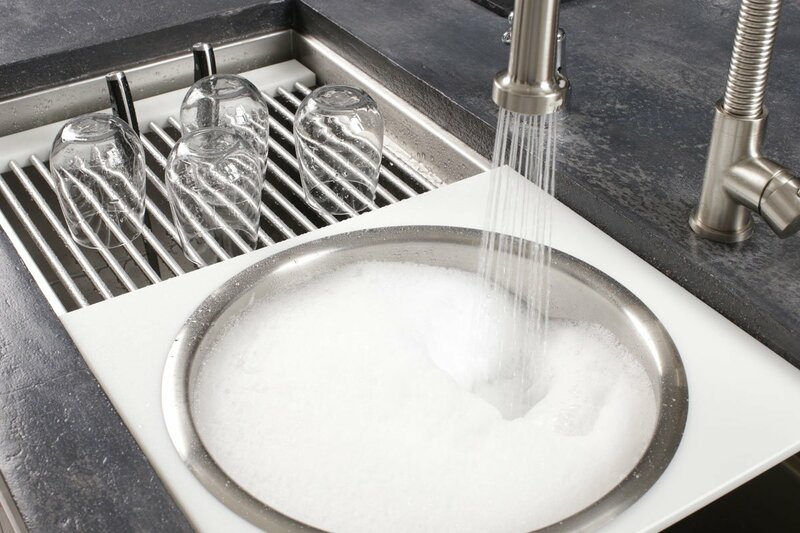 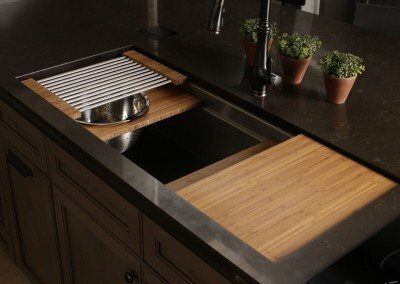 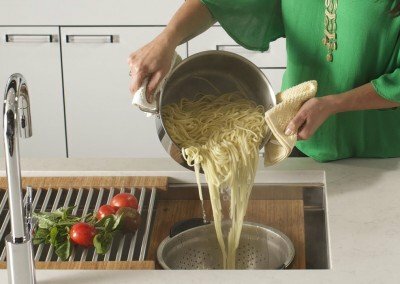 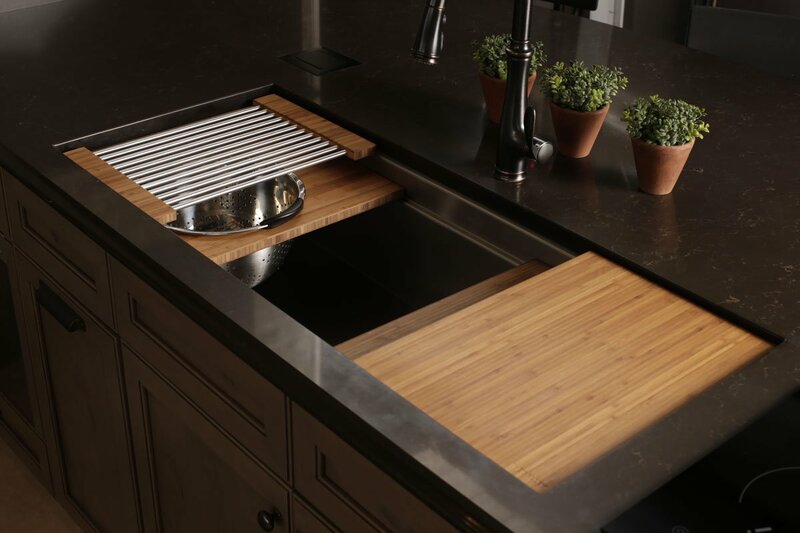 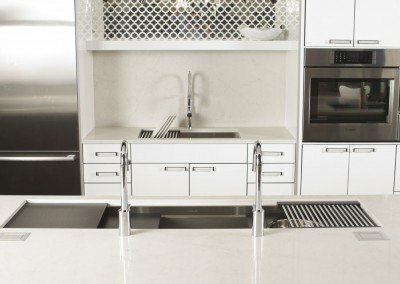 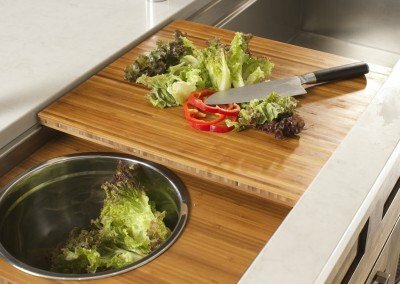 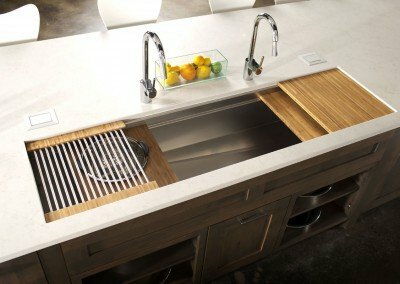 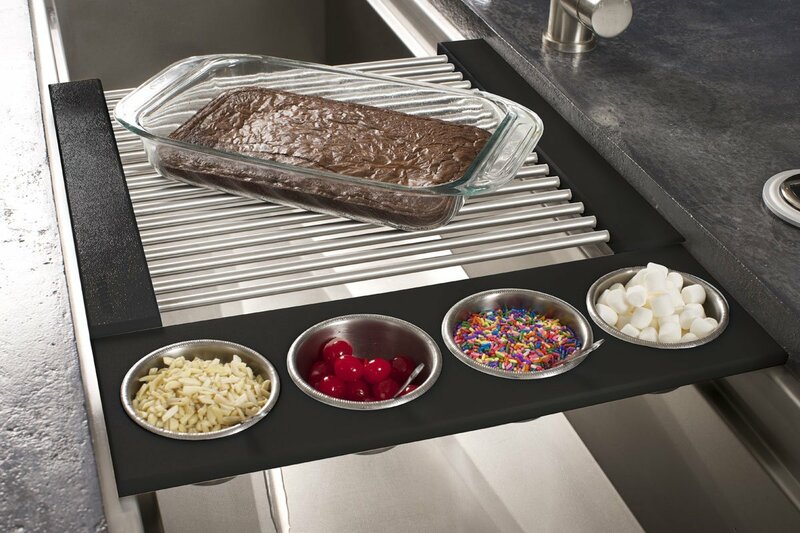 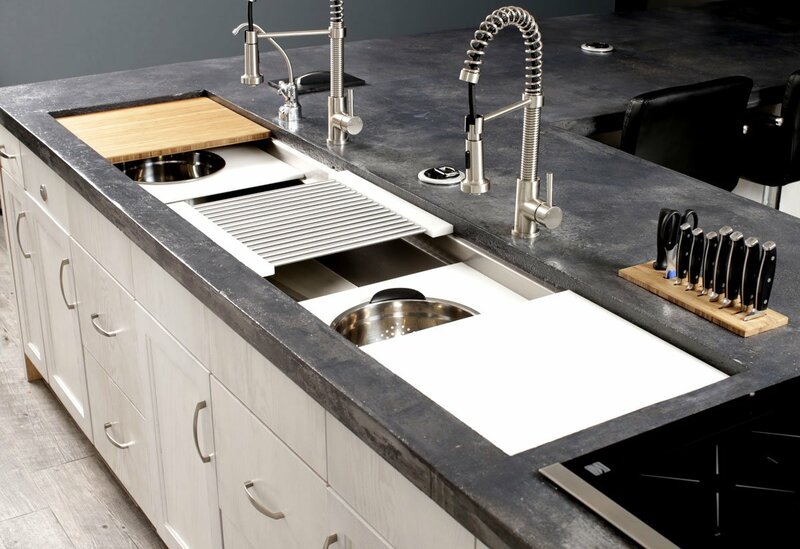 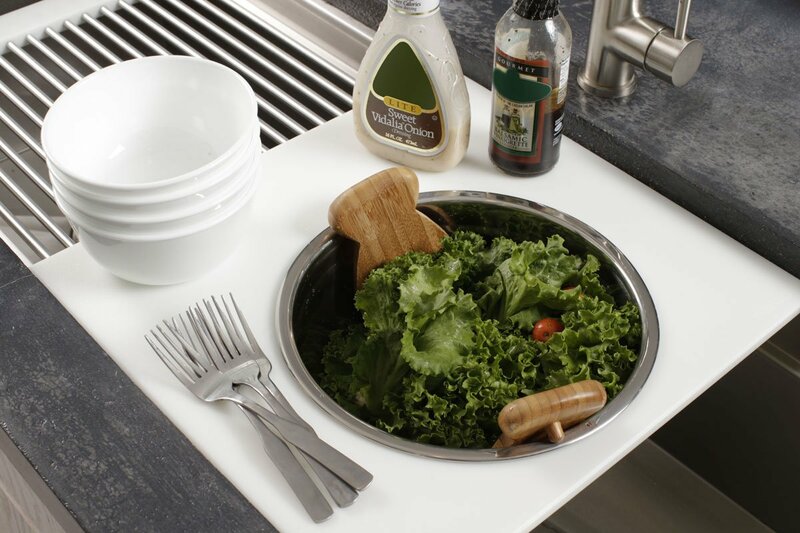 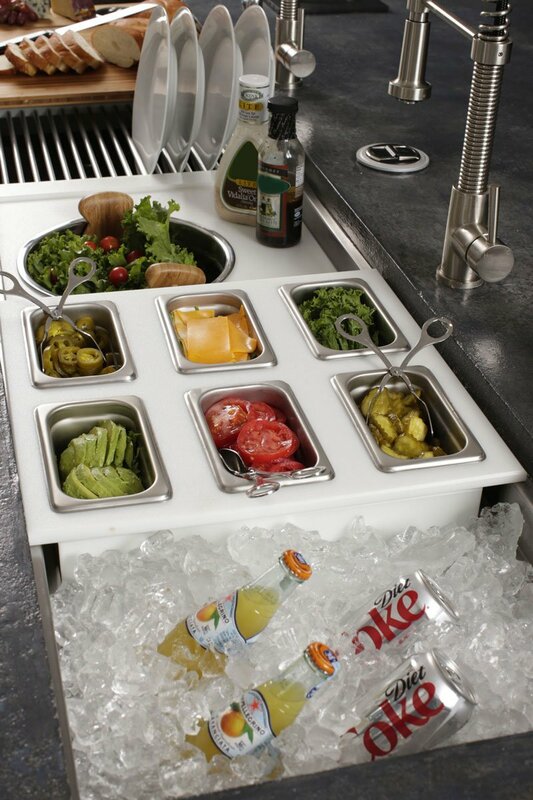 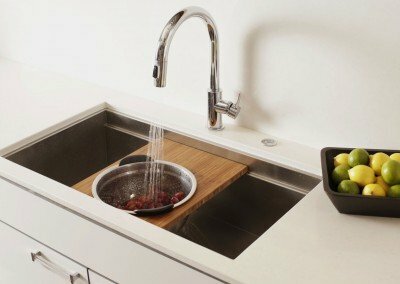 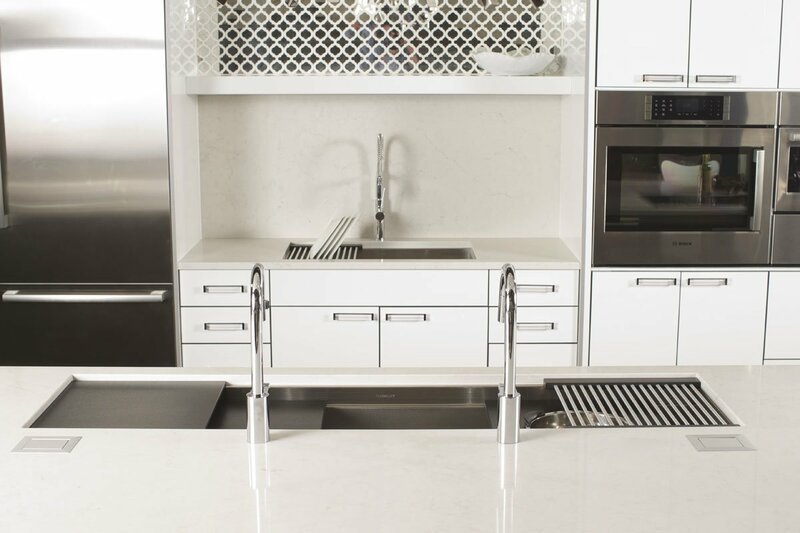 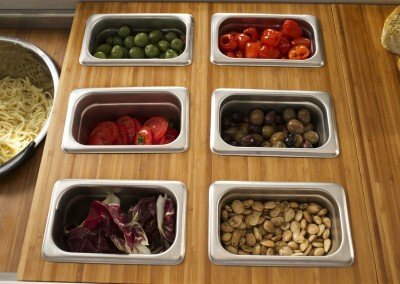 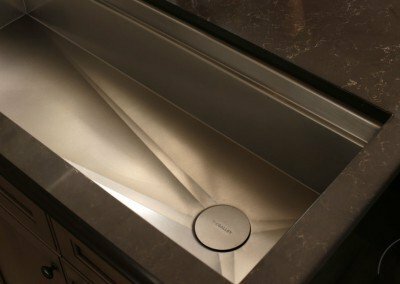 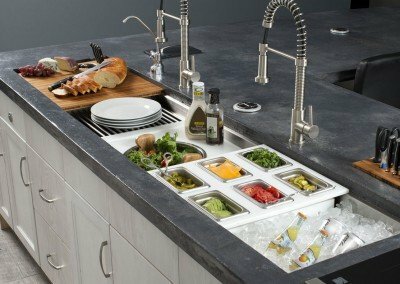 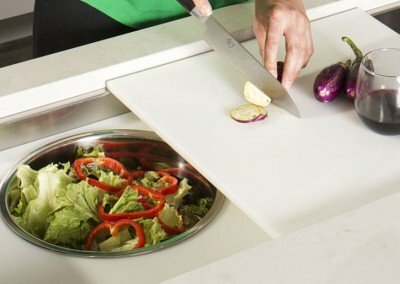 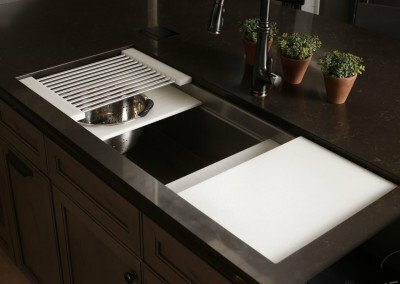 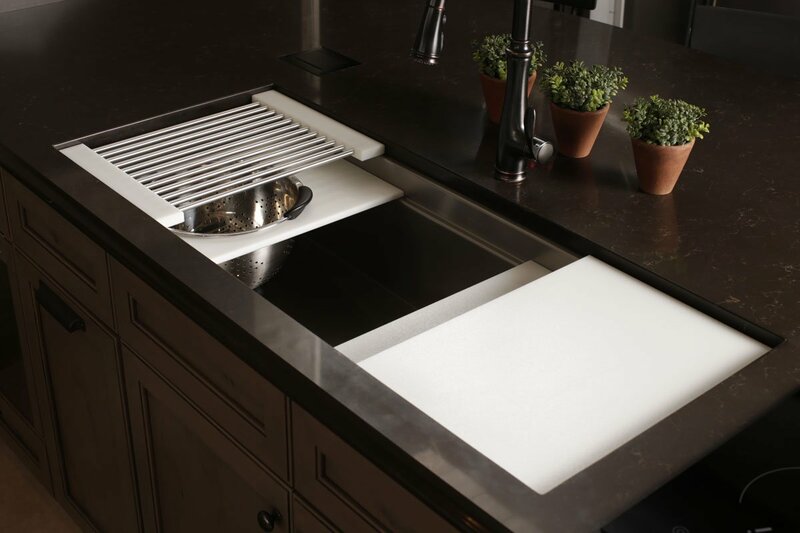 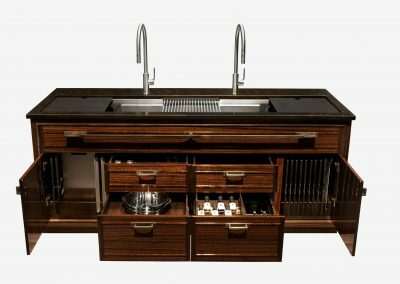 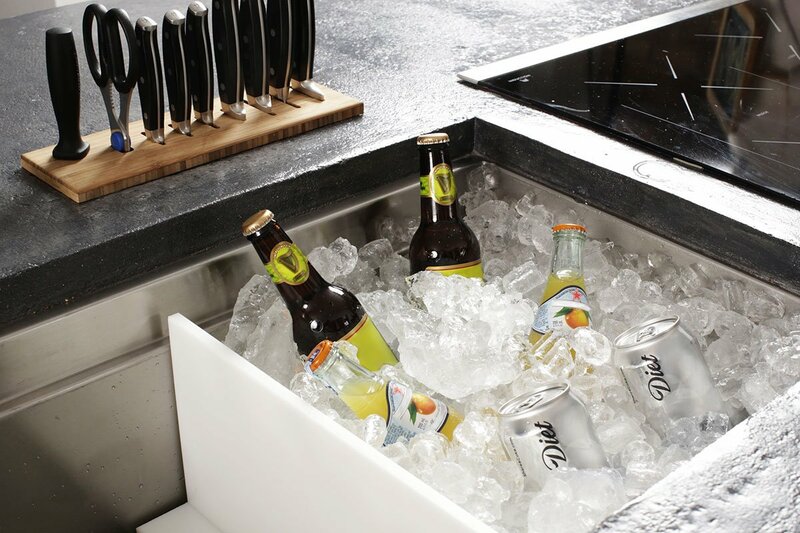 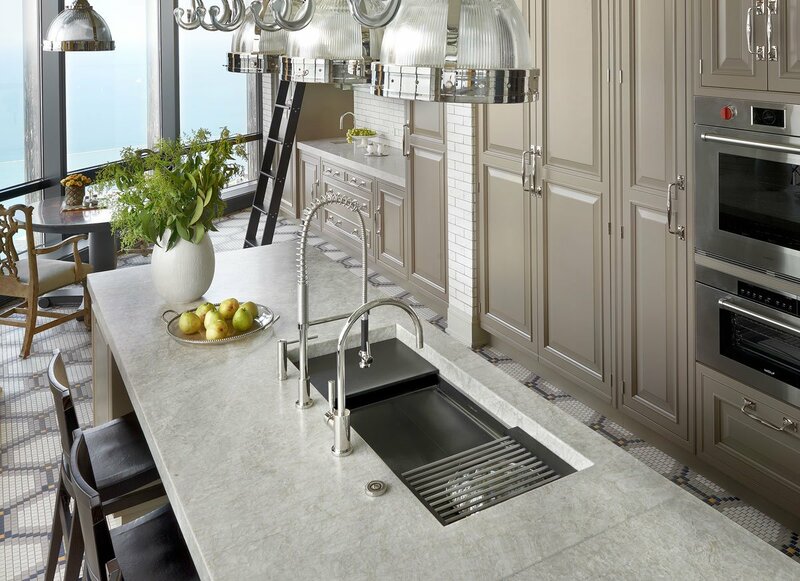 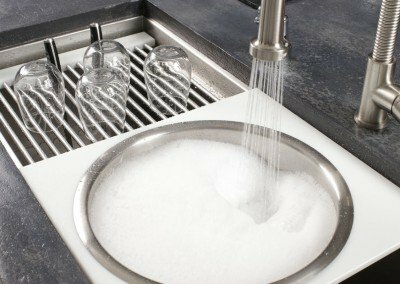 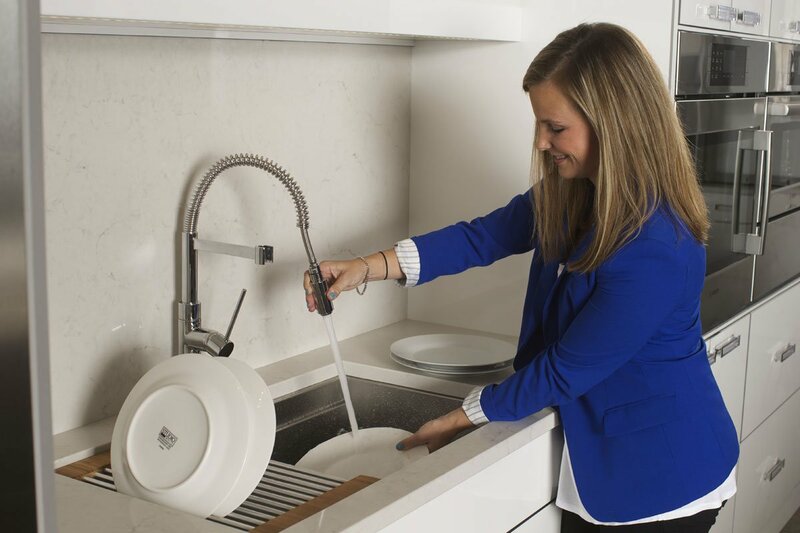 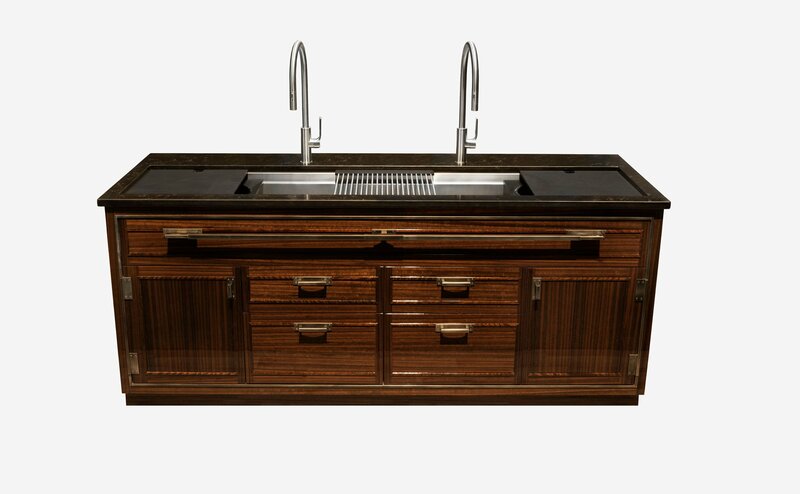 The award-winning, innovative Galley Workstation is much more than a sink, it is a super-functional, smart and stylish workstation where prepping, serving, entertaining, and clean-up can all happen in one simple, convenient place. 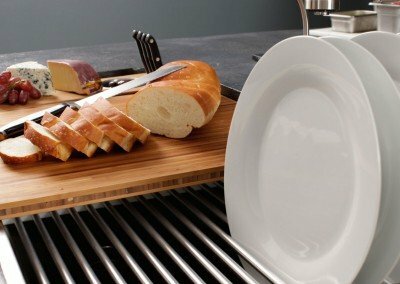 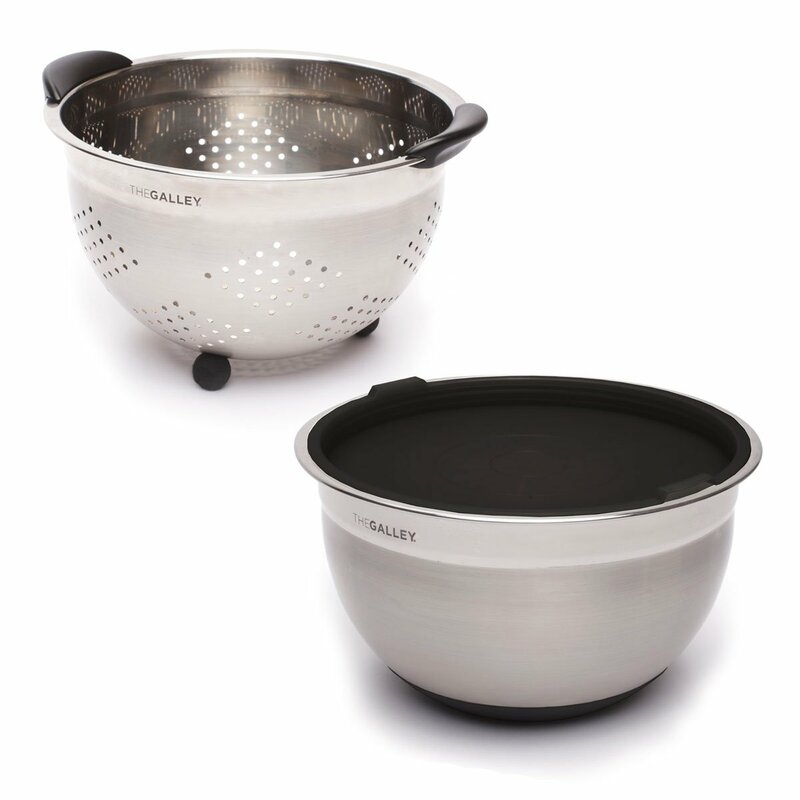 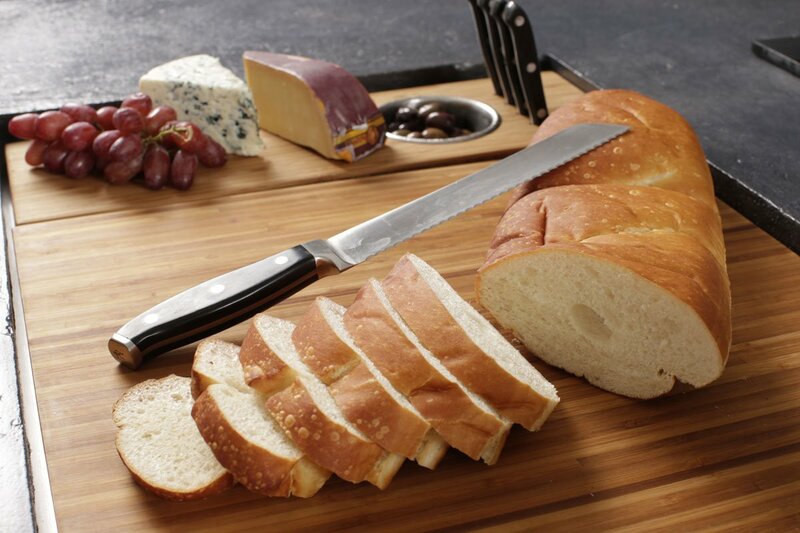 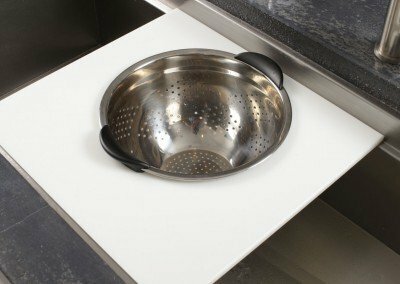 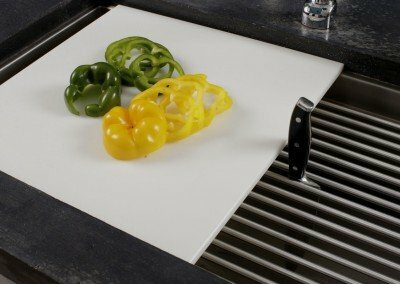 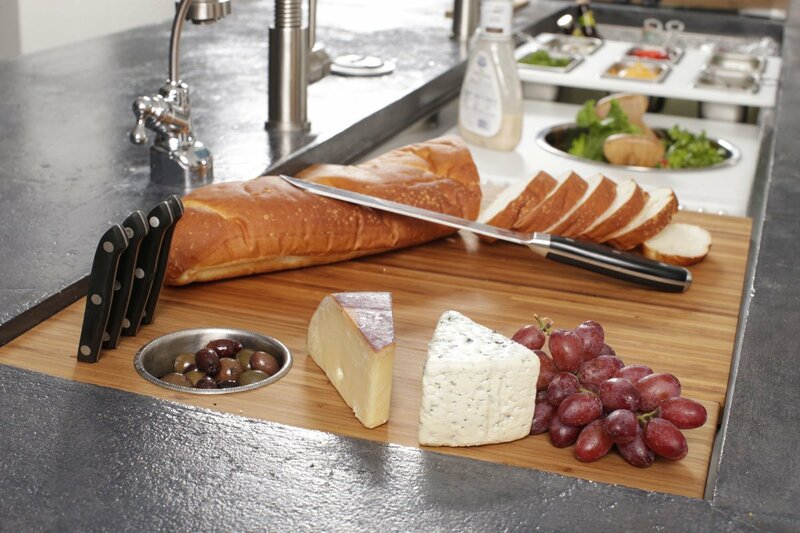 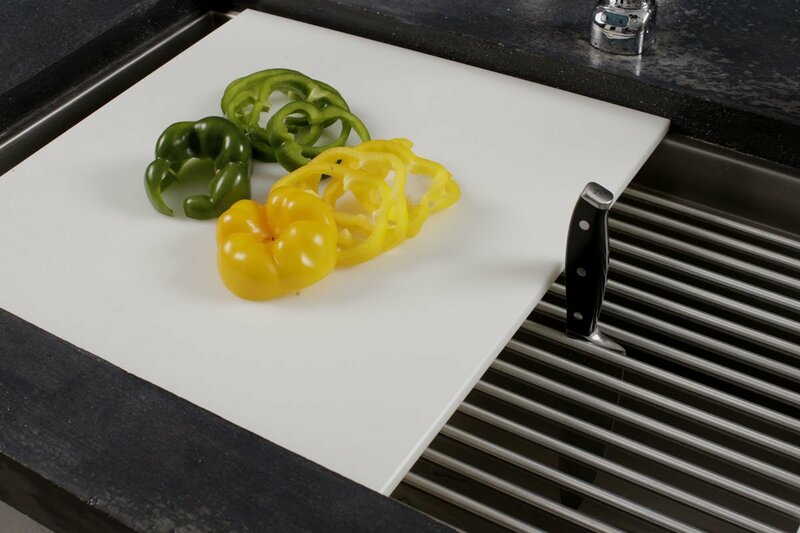 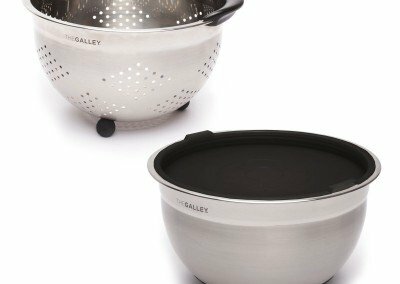 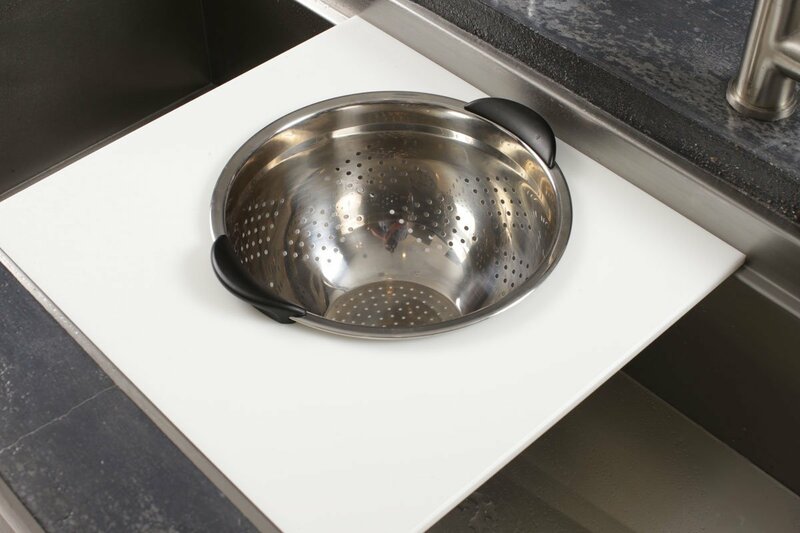 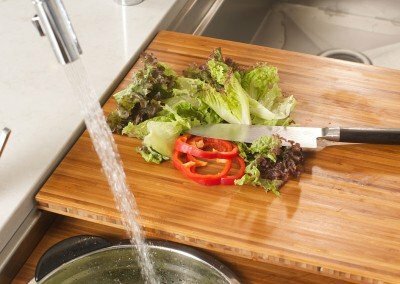 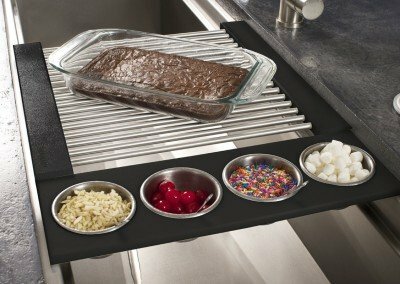 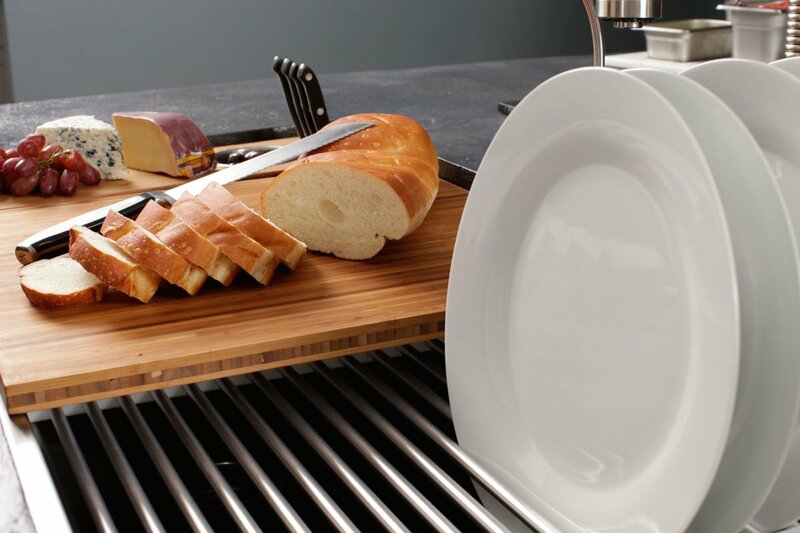 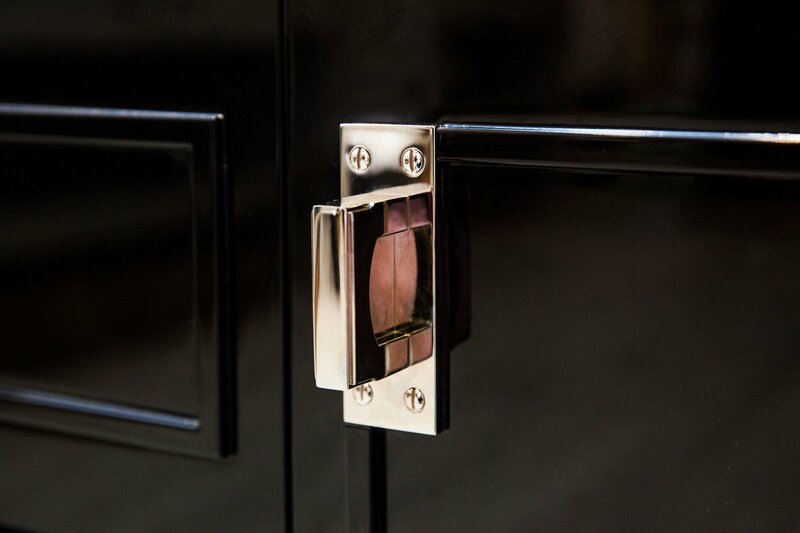 It is ideal for any indoor or outdoor kitchen and works perfectly in both large and small kitchens. 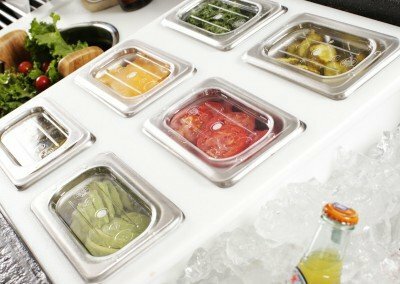 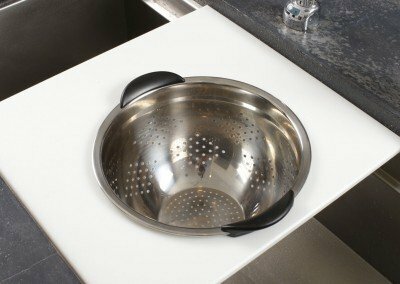 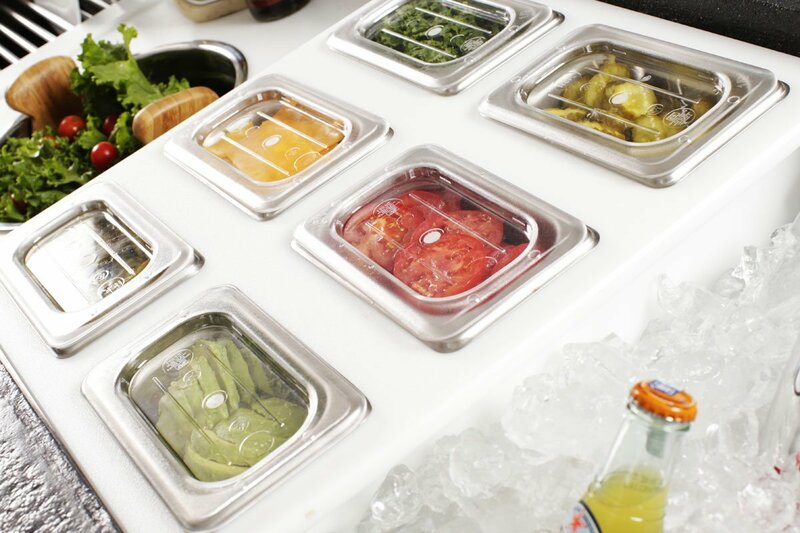 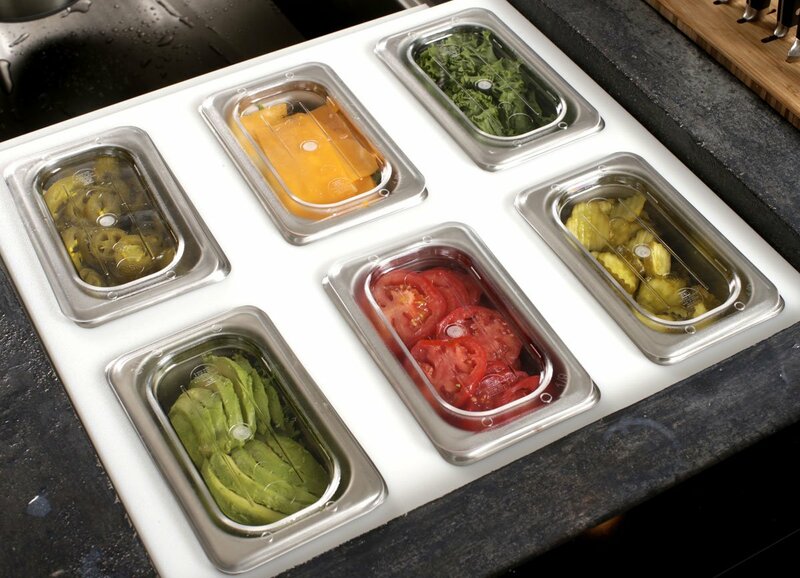 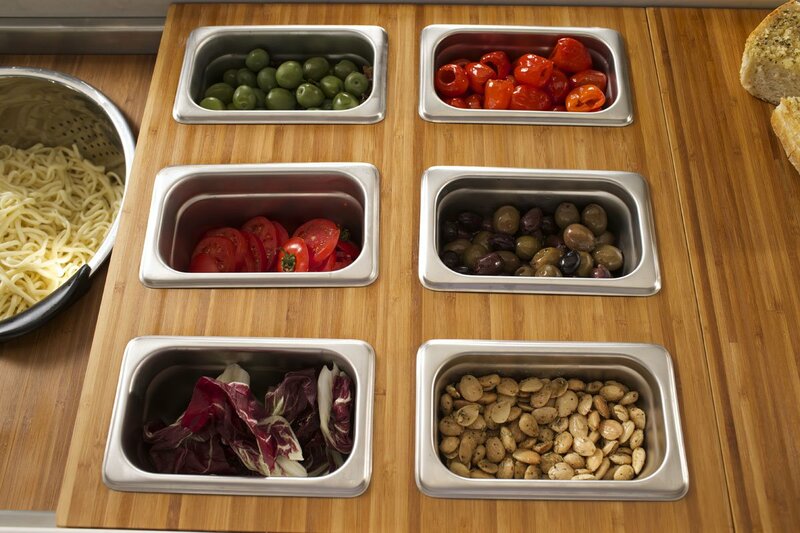 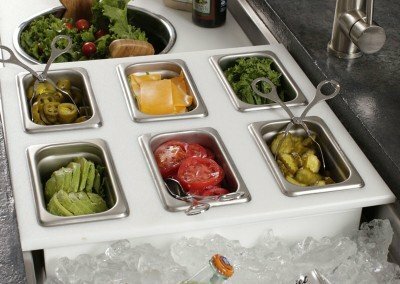 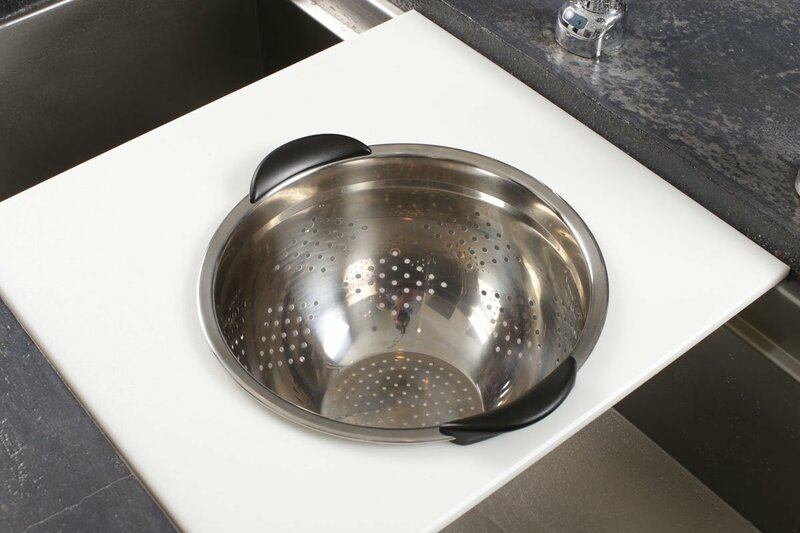 The Workstation is available in six standard bowl sizes, and in custom sizes by special order. 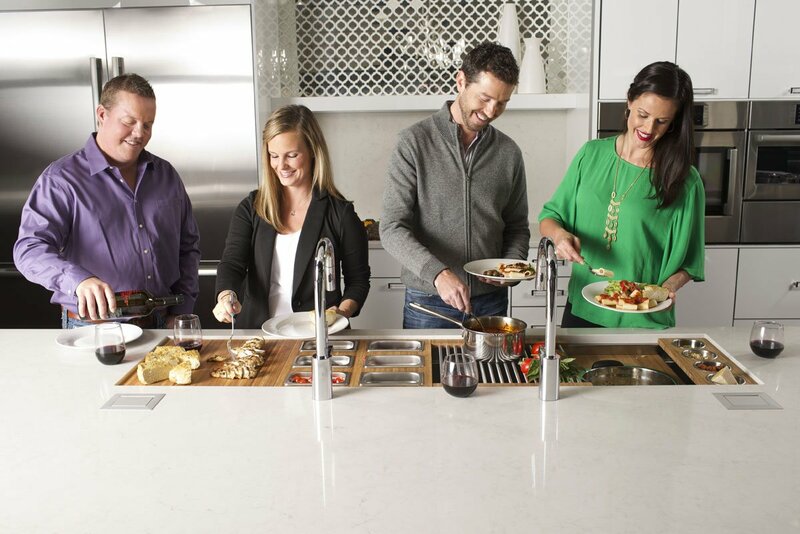 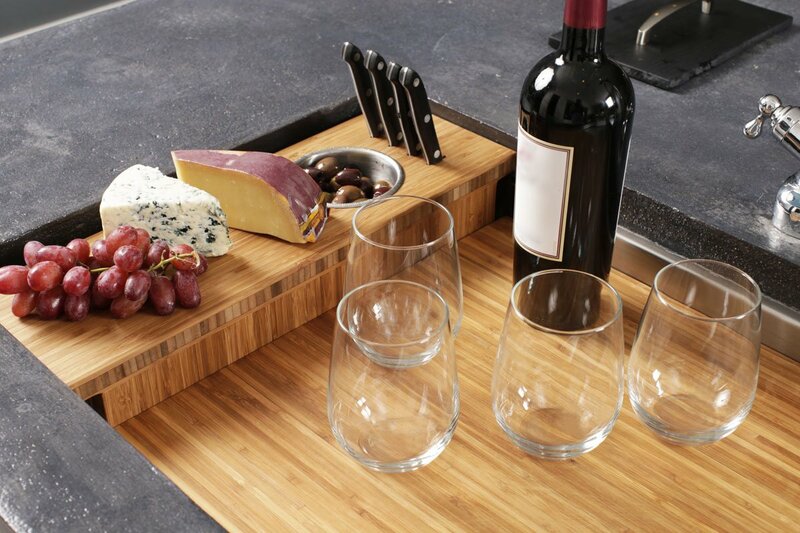 See The Galley Kitchen Workspace featured on the Today Show! 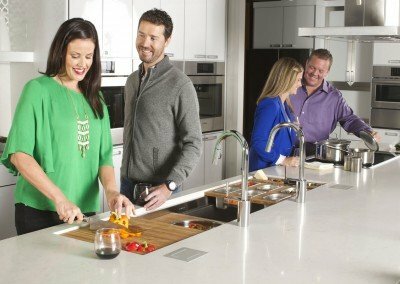 Peter Souhleris, one of the stars of the popular show, Flipping Boston, loved The Galley so much that he had to include it in his list of 2017 Kitchen Trends! 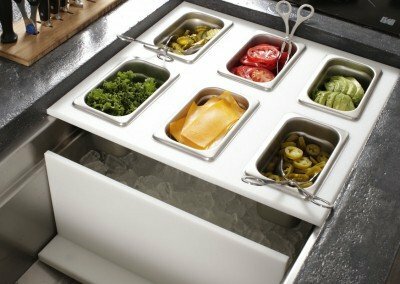 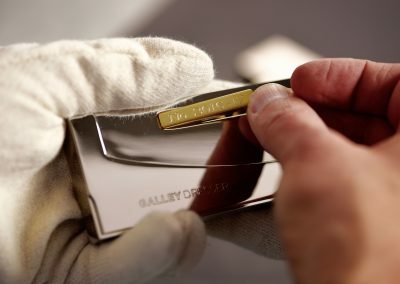 After the show aired Peter told R. Scott Anderson, the CEO of The Galley, “Glad to showcase it Scott. 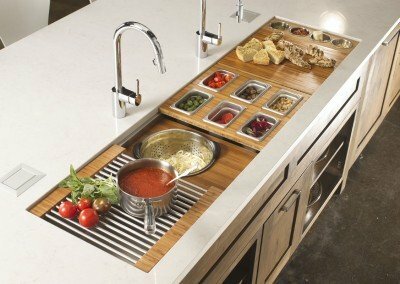 I really love your product. 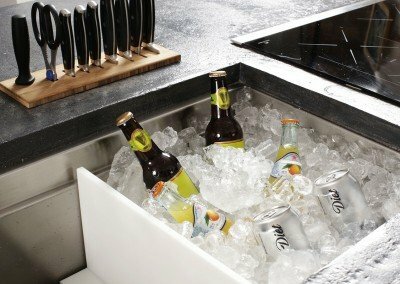 Totally get it:) It’s always refreshing promoting a product I love!! 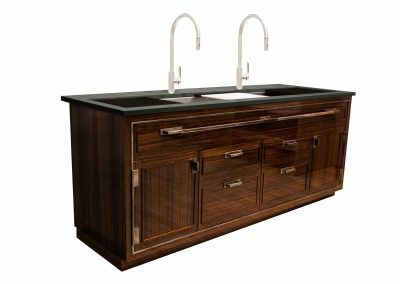 !” Peter will be putting two Galley Workstations in his own kitchen. 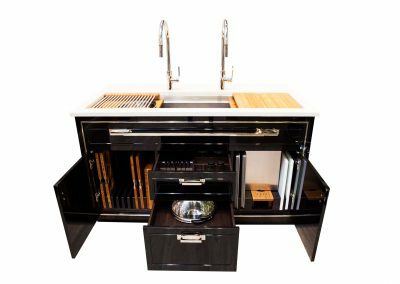 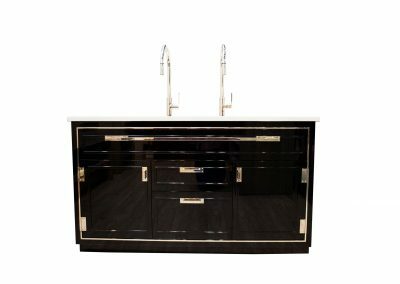 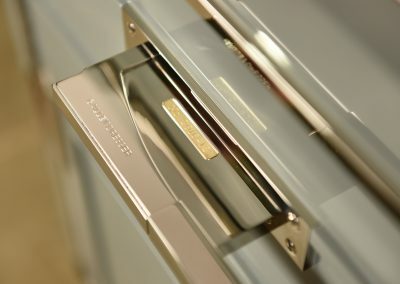 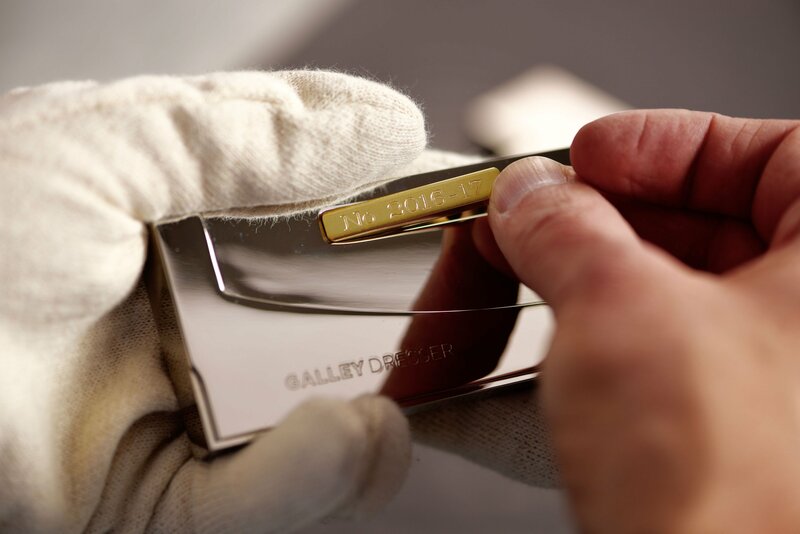 The Galley, the award-winning manufacturer of the original kitchen workstation, is unveiling a major addition to its product line, The Galley Dresser. 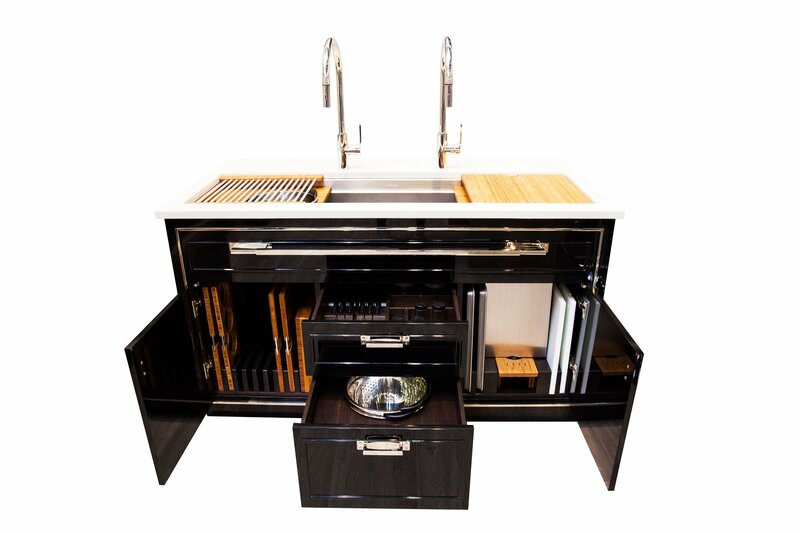 The Galley Dresser is an amazing piece of kitchen furniture purposefully designed to work in harmony with Galley Workstations. 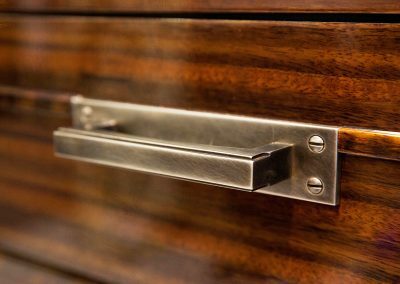 “My design of the Galley Dresser was to thoughtfully stitch together the ultimate in kitchen function with contempt for the ordinary in kitchen furniture. 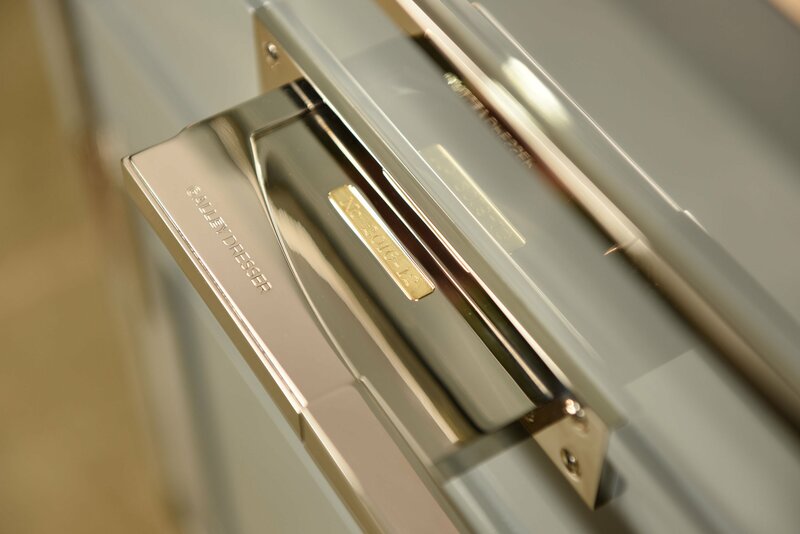 The Galley Dresser is that statement. 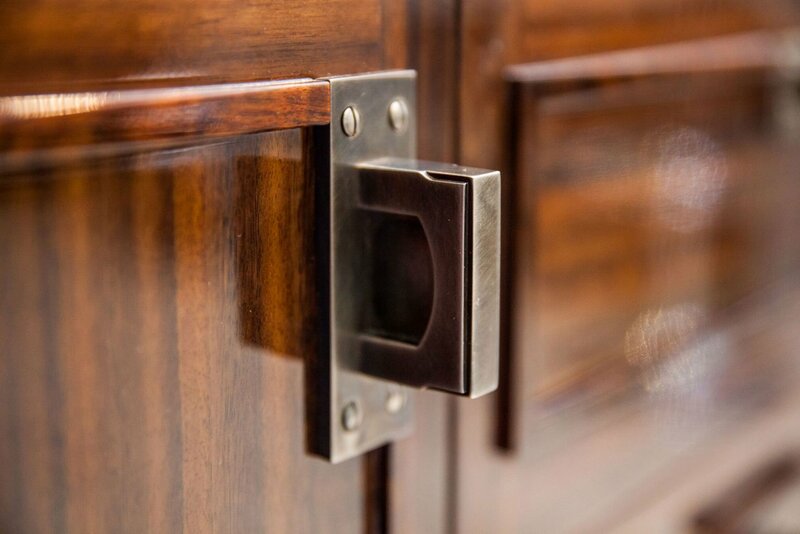 The execution of every detail is incredibly intentional. 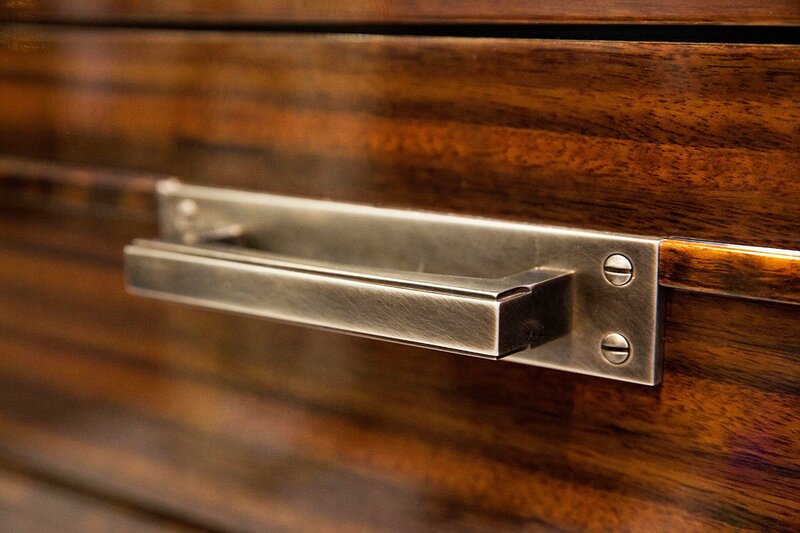 The design philosophy of The Dresser prevents compromise,” said Dresser designer Doug Durbin. 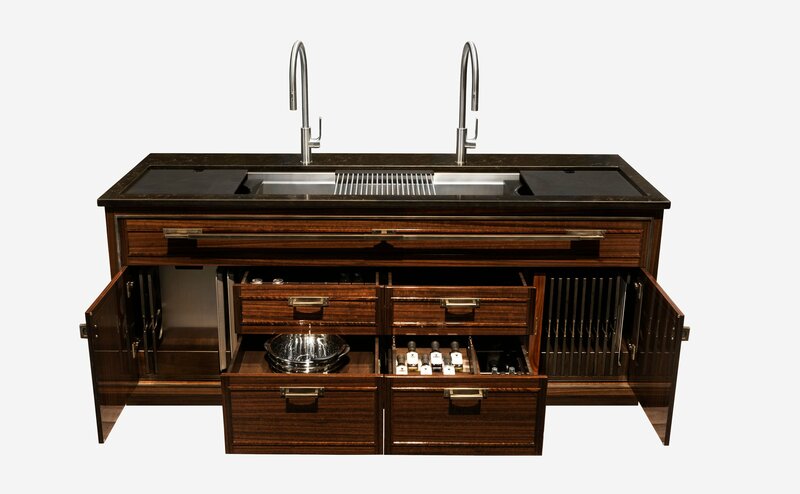 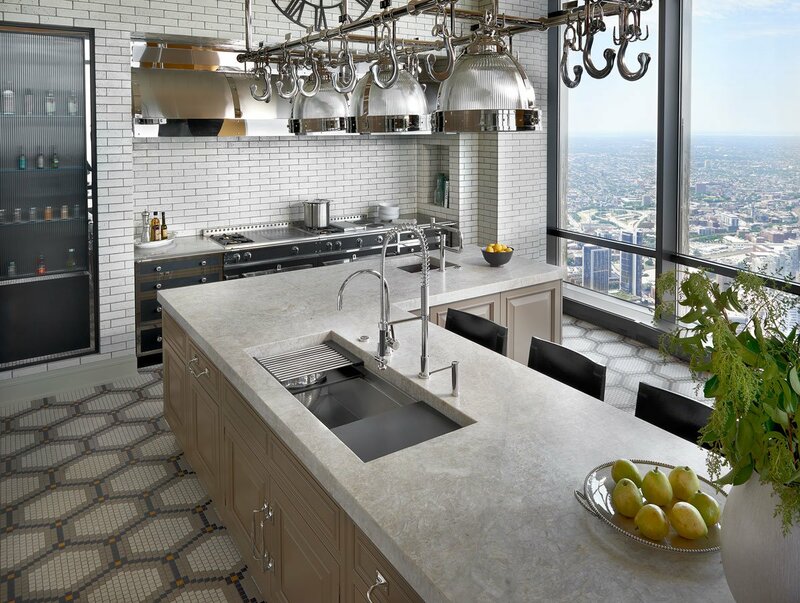 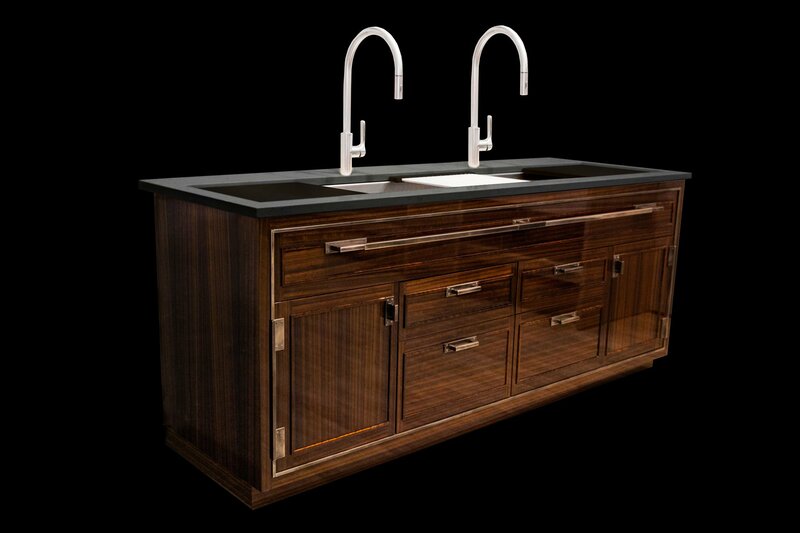 Durbin is renowned for his Bauhaus approach to thoughtful design, creating harmony between function and art in kitchen architecture. 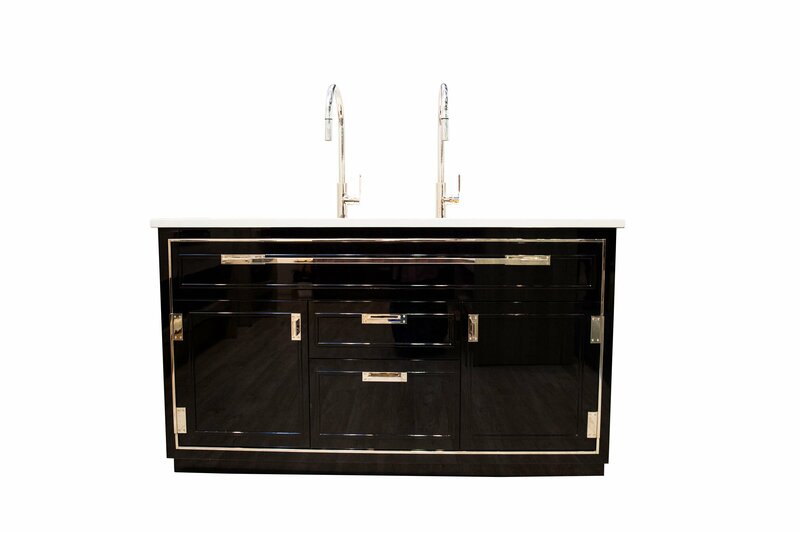 The Galley Dresser is available in four sizes, 13 hand-selected high-gloss finishes, nine custom hardware finish options, including four signature finishes by Doug Durbin, and is completely hand-crafted from start to finish. 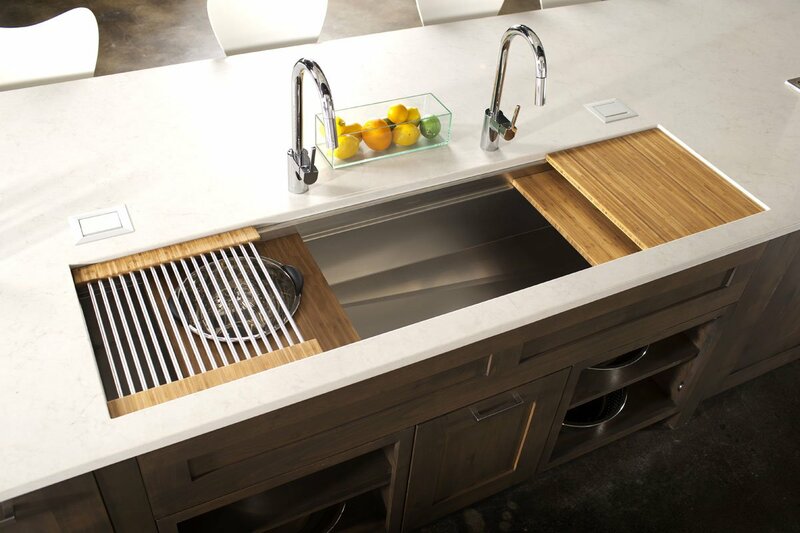 Contact us today–or better yet–stop by the new Pierce Showroom in Dallas to see how The Galley is literally changing the way people think about and use their kitchens!